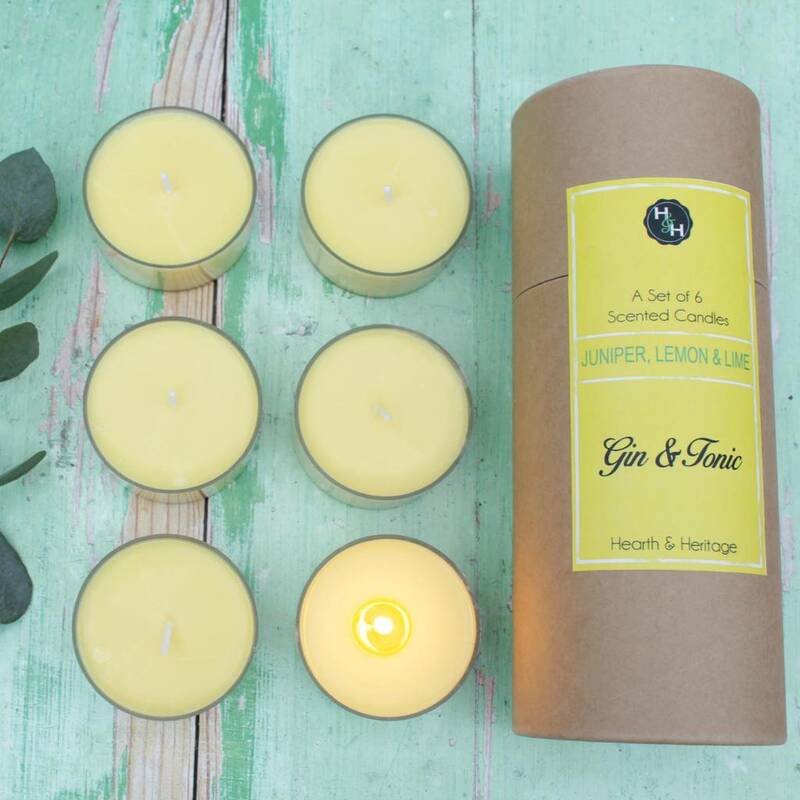 6 Scented Gin & Tonic candles in a delightful gift tube. The delicious aroma of Juniper Berry, Lemon and Lime is captured in each maxi tealight, the candles are coloured yellow and scented to the max to fill your room with this delicious smell of Gin & Tonic. Each candle burns for 10 Hours, a row of 3 would make a lovely centrepeice on a table maybe displayed on a slate tile? Delight your Gin & Tonic loving friends with this gift tube, check out our other Gin themed beauty and homeware gifts in our store too. 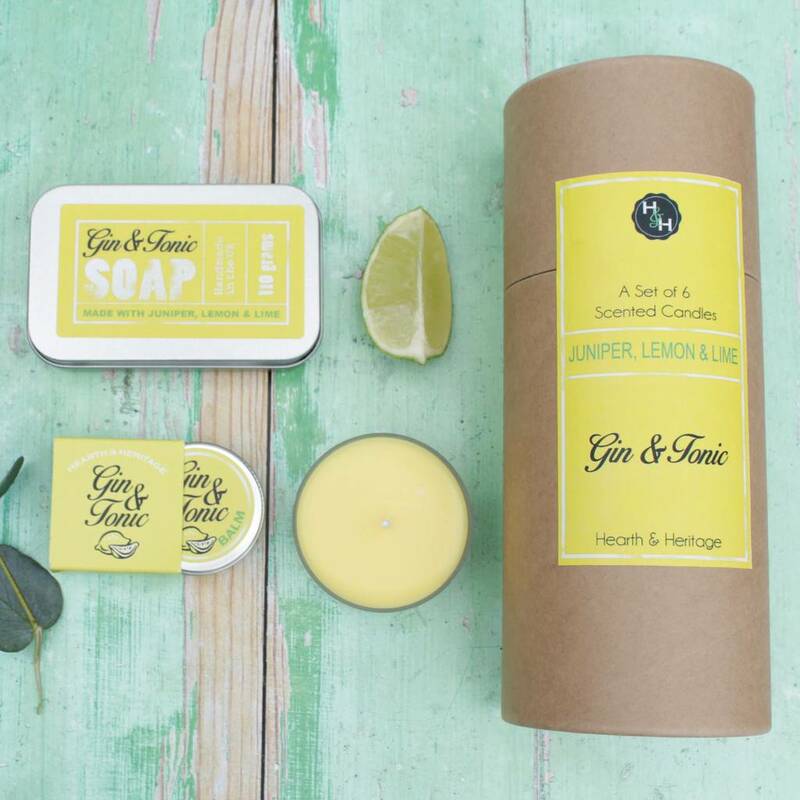 Soaps, Lip balms, Tea towels, mugs and Bath oils are available in our store. Do not leave the candles unattended when lit. 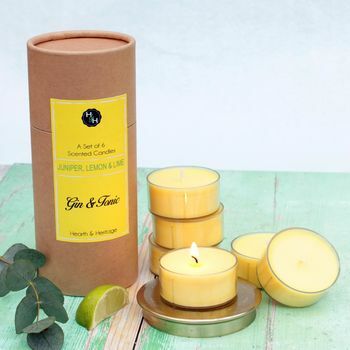 EcoSoy Wax, fragrance oil, pure cotton wick. No Petroleum or animal products are used.